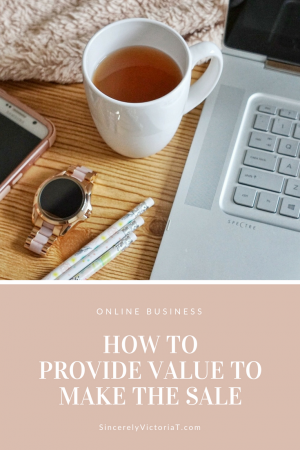 The internet is not what it used to be 20 years ago, and making money online no longer has a bad rep. All online businesses are not scams, as there are many people who have become very successful selling, teaching, and being creative on the internet. Whether you want to start a business or create another stream of income, there are many different ways to sell products to make money online. The one thing that all these money-making strategies need to work is sales. Whether you decide to sell your own product or promote someone else’s, you will need people to purchase from you if you want to make money. The people that buy products from you are called your “target audience”. Your target audience is the people browsing the internet looking for the information and products you have. So how do you get those people to purchase from your website, blog, video, or online store? No one is going to click the BUY NOW button on your website just because it is there. You have to offer the people more – you have to give them valuable content. Sharing quality content such as how-to videos, professional photos, and good customer service goes a long way. Offer quality and value to attract potential customers and clients. Why would someone want to buy from you? How can you help your potential client? How can I be better than my competitor? What does my reader, client, or customer need from me? Providing quality information helps your potential customers and clients find you and keep them coming back for more. When someone trusts you to give them valuable information, they won’t mind buying from you. One day, I am scrolling through Instagram, and came across a tutorial of a girl showing how to use her new lipstick. She shared how to choose the perfect lipstick shade and how to apply the lipstick. The next day she posted a picture of herself wearing the same lipstick, only this time she shared how to match the lipstick with her new outfit. After a few days of watching her daily makeup tutorials using the lipstick, I purchased the lipstick and also subscribed to watch her videos on Youtube. Because she is offering consistent content, I purchased and subscribed because I want to continue to see what she has to offer. That’s an example of providing value to your audience. Don’t just offer the product, showcase the product. Provide value. On the contrary, what if the same girl only shared products to buy? Each day she only posted “buy now” photos on her Instagram? I would be a lot less likely to purchase from this saleswoman because well…she seems like a saleswoman. Online marketing is a marathon run, not a sprint. You have to build relationships and trust among the people who follow you. If you want someone to buy from you, you must first invest in the relationship. Do you want to start an online business? Click here. It is best to strategically plan how to engage your customers. What does your target audience need from you? Sit down, and decide how you will offer value to the people who follow you. Use your unique skills to stand out from the crowd and offer quality information to attract new customers. How do you offer value to your readers, customers, or clients? Share in the comments below. Previous Post Should I Start a Blog? love how informative and helpful this post is!